Optical windows have been essential in a variety of different industries around the globe. However, it is important to understand what they are. What are these optical components? What is its importance? Finally, where can one find them? Find out in this post. Optical windows are important items. They are typically flat plates and are commonly used to divide two different environments while allowing light to safely and smoothly pass through it. However, it’s not as simple as that. Some optical windows use optical wedges to diffuse and subdue the light, so that what passes through is significantly more intense or a tad bit lighter compared to the original luminescence. This is important for tasks and work that requires the right amount of light. There are several custom optics available for a variety of uses, each made with a different kind of material. The most common of which are germanium, silicon, UV fused silica, zinc selenide or potassium bromide. They also come in numerous types, some allow ultraviolet and infrared waves to pass through. Where are optical windows used? 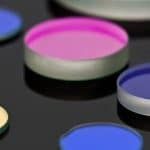 Optical components are used in a variety of fields, from aeronautics, medicine, chemistry and engineer. Airplanes utilize aerospace optical components for their cockpit and windows and even for airport control powers. This is to ensure that pilots and operators are able to see the horizon and what’s in front of them, without the light ruining their field of vision or hurting their eyes. They are also used in hospitals in medical optical components. They are used to ensure that the light that’s used to illuminate surgical areas in a body provide enough clarity for the surgeons without if affecting the organs. Optical windows are important in a variety of jobs and careers. They provide vital assistance in various tasks and responsibilities. It can even be said that there are some work that cannot be done without its help.